For the first time, we could observe the glimpse of the cosmic place of no return: a black hole. It’s as beautiful as science fiction imagined and hot and vehement. 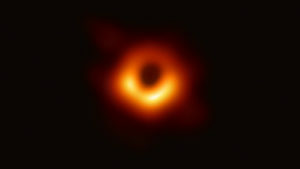 In an invention that thrilled the world of astrophysics and stirred talk of a Nobel Prize, scientists on Wednesday published the first picture ever composed of a black hole known as Messier 87, distinguishing a blazing doughnut-shaped object in a galaxy 54 million light years from Earth.